As a retired attorney who's passion it is to help people learn to locate and purchase Country and Homestead Property, I know the importance of understanding Owner Financing of Property. 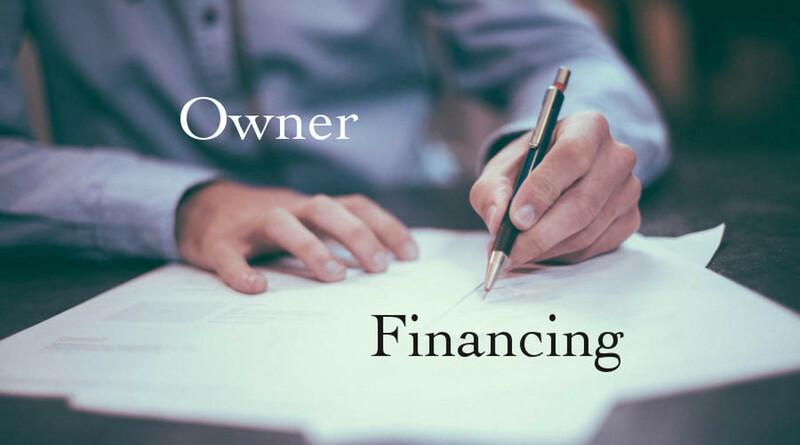 This article will explain various methods of Owner Financing and what pitfalls and problems you need to avoid in Owner Financing. So what are the pro's and con's of Owner Financing? If you do not understand the differences in a Land Sale Contract, also known as Contract For Deed and the more conventional methods of Owner Financing you could lose the property with no recourse other than suing for some of the payments made. To learn the safe way to set up Owner Financing where it is a win-win situation for both the Seller and the Buyer, you will want to take the time to read and understand this article. Many lending institutions will not loan funds to purchase raw or unimproved land in a rural area because of the lack of public utilities and the need to drill a well, install a septic system and have electrical power brought into that location. There are so many potential problems that a Bank or Mortgage Company does not want to get involved in with regard to raw or unimproved land. There could be a well drilled that ended up in a dry hole or with insufficient water, less than 5 gallons per minute flow. There could be a failure of the land to pass a percolation test so it would not be approved for a septic system. Or to install a septic system could require an expensive pumping system where effluent was pumped to another part of the property before entering the field lines. A local bank might loan up to 50% of the value of the land after there was a well of at least 5 gallons per minute flow and either a septic system installed or at least the property passed the percolation test and septic was approved. However, the bank would most likely want some sort of guarantee that the property would be further improved. Typically it requires a completely paid off piece of land that already has a good source of water and at least a septic approval obtained before a construction loan is granted to the property owner. This is because the bank will require the land as security for the construction loan. Many Bank or Mortgage Company Loans are required to meet a specific set of Government Standards such as FHA Standards for the loan to be approved. These standards require a complete foundation under the entire outside perimeter of the dwelling. These standards are usually interpreted to mean a poured concrete footer and then concrete blocks laid on top of the footer to a minimum height above the ground level. The absence of this type of foundation under the entire outside perimeter of the dwelling can prohibit the entire parcel of land with the dwelling qualifying for a Bank or Mortgage Company Loan. It is possible to have a loan turned down because the Bank or Mortgage Company does not like financing property with a dwelling, barn and several other outbuildings. I have seen this happen several times. In the typical situation besides the barn there might be a chicken house, goat shed and one or two storage sheds in different states of repair. Many Banks or Mortgage Companies do not want the headache of trying to evaluate multiple different sized buildings and will turn down all loans of this nature. With the possible exception of a loan from a Local Farm Home Loan Office or similar Agricultural Loan Program, the usual requirement for loan approval is a 5 gallon per minute or more flow rate from a well. A Farm Home Loan or other Agricultural Loan Program may allow for a loan on property with a well of only 3 gallons per minute output. There are a lot of rural properties for sale with less than 5 gallons per minute well flow. There are a number of rural properties for sale that only have a 1 gallon per minute well flow, some properties with even less flow than that. Those properties with less than a 5 gallon per minute well flow may have a buried tank that holds 1,000 gallons or more of water. This helps lessen some of the problems that come with an insufficient flow of water from a well. In most cases though, this buried tank does not make the property qualify for Bank or Mortgage Company Financing. In almost every instance of less than a 3 gallon per minute flow from a well there will be at least a 1,000 gallon reservoir tank buried below the frost line. This helps with water problems on that parcel of land but does not help that property qualify for a Bank or Mortgage Company Loan. In Owner financing, the Property Owner who is also the Seller acts as a Bank allowing you to make payments to the Seller instead of to a Bank or Mortgage Company. In Owner Financing, you as the Buyer of the property do not have to qualify for a loan. This means there is no lengthy Loan Application to fill out, no fees paid for a Loan Application to be processed and no "points" paid to a Bank or Mortgage Company for Loan Origination. With Owner Financing it is only rarely that there is an Appraisal of the property done. This saves the Buyer several hundred dollars. Since a Purchase Price has been agreed on between the Buyer and Seller there is no need of an Appraisal to satisfy a Bank or Mortgage Company's need to know the Appraised Value of the property. The Closing of the Sale of Property when there is Owner Financing is much simpler to when there is a Bank or Mortgage Company involved. There would be fees for Document Preparation, drawing up a Deed and Recording it and prorating Property Taxes and Hazard Insurance. One of the documents would be a Note to the Seller from the Buyer. This Note would set out the terms of the Owner Financing such as Interest Rate, Number and amount of Payments, Penalty for Late Payments and Foreclosure Proceedings if the need to Foreclose arose. The costs associated with Owner Financing can be several thousand dollars less than the cost of Conventional Financing. There is more than one form of Owner Financing. What I mean by "Conventional Owner Financing" is financing where the terms and results are very similar to Financing through a Bank or Mortgage Company. The main difference being less fees charged and the Seller playing the role of the Bank or Mortgage Company that receives payments. With this form of Owner Financing the Buyer gets a Deed at Closing and gives the Seller a secured interest in the property to protect the Seller until the payments are made. There are two forms of security given the Seller. They are a Mortgage or a Deed of Trust. A Mortgage is a document that gives the Seller a secured interest in the property while the payments are being made. There are two types of Mortgages, Title Theory Mortgages and Lien Theory Mortgages. A Title Theory Mortgage is where the Buyer gets a Deed to the property which shows the Buyer has an Ownership Interest in the Land. However the Mortgage effectually allows the Seller to hold title to the land as a Security Only Interest until the land is paid for. When you successfully complete the payments on the land, the Seller records a Satisfaction of Mortgage in the County Deeds Office that effectively gives you actual title to the property. That is the Seller is acknowledging that he no longer has any claims on the property. With a Title Theory Mortgage, if the Buyer defaults the Seller merely keeps Title to the land. VA Mortgages also work this way. A Lien Theory Mortgage is where the giving of a Mortgage to the Seller is a promise, in writing, that you will completely pay off the property under the terms and conditions set out in the Mortgage Document. In a Lien Theory Mortgage, the Mortgage becomes a Lien allowing the Holder of the Mortgage, the Seller, to Foreclose on the property and get the property back if the Buyer Defaults on the terms set out in the Mortgage. Under a Lien Theory Mortgage, the Lien is removed when the terms of the Mortgage are met and the land is paid for. If you purchase property in a Mortgage Theory State, which type of Mortgage you give to the Seller is determined by that State's Law. A Deed of Trust is the Security interest given along with a Note to the Seller in some States. In these States the Buyer is also called a trustor and gives the Seller a Deed of Trust as security during the payment period. The Note is a written promise to pay off the property based upon the agreed to terms and conditions. The Seller becomes a beneficiary under the Deed of Trust which is held by a third party such as a Title Company, Escrow Company or Attorney who is the trustee. In a Deed of Trust State the Buyer owns the property subject to the terms of the Deed of Trust and Note. The Deed of Trust may contain stipulations such as a prohibition on logging the property until the Note is paid off. If you default on the payments, that is if you fail to make them according to the terms and conditions of the Note, the Deed of Trust allows the Trustee to sell the property at a Foreclosure Sale. The Trustee can deliver good Title, a valid Deed to the property to the Buyer at a Foreclosure Sale or, if there is no Buyer, Deed the land back to the original Seller. If you buy land in a Deed of Trust State be careful not to confuse a Deed with a Deed of Trust. A Deed is evidence of ownership interest in the property. A Deed of Trust is the Seller's security interest in the property sold. Once the property is paid off according to the terms and conditions of the Note, the Deed of Trust is released. Once the Deed of Trust is released, the Buyer owns the property free and clear. This is commonly done by using the services of an Escrow Company or Attorney's Office. This service costs a few dollars a month but simplifies keeping track of payments made and supplying Income Tax Documents to both Buyer and Seller. Having a Third Party such as an Escrow Service or Attorney's Office keeping the records prevents disagreements over what has been paid and what is left to pay. Official Statements of Interest Paid by the Buyer are given for both the Buyer and Seller to use on their respective Income Tax Forms. Since these Third Party Services benefit both Buyer and Seller it is common for both of them to split the costs of the services. Another benefit of using an Escrow Company or Attorney's Office is they can set up the escrow of funds to pay Property Taxes and Hazard Insurance. This involves adding 1/12 of the estimated amount of Property Taxes and Hazard Insurance to each payment and authorizing the Escrow Company or Attorney's Office to pay taxes and insurance when due. It is common in Owner Financing to have payments made over a term of years such as 5 or maybe 10 years and then for there to be a Balloon Payment due for the remainder of the funds owned on the land. In cases where the Purchase Price of the property cannot be paid off in 5 or 10 years, this allows time for the Buyer to pay down the amount owed on the property. This also allows the Buyer the chance to build up a good credit rating so he can finance the remainder through a Bank or Mortgage Company. There are two forms of Owner Financing that you need to beware of. They are called a Contract for Deed and a Land Sale Contract. These two forms of Owner Financing are very similar and in most cases are distinguished only by their name. On occasion you may see one of them called a Contract for a Deed and the other may also be called an Installment Land Sale Contract. With these forms of Owner Financing the Buyer does not get a Deed until all payments have been made on time. In their common form a Land Sale Contract or Contract for Deed do not give the Buyer any Ownership Interest in the property. Without an Ownership Interest in the property the Buyer can be told to move off the property if they are even one day late on a payment, even if it was the last payment owed. Since the Buyer does not get a Deed until all payments have been made on time, it is the Seller who has Legal Ownership of the property. This Legal Ownership gives the Seller the right to have the Buyer removed from the property without a Foreclosure proceeding. Since the Buyer has no Ownership Interest in the property, because there was never a Deed given him, the Buyer has no standing to sue to get the property back. The only Legal Remedy the Buyer has is to sue for return of some of the payments made. There is no guarantee this type of lawsuit would be successful. In addition to not having proof of any Ownership Interest in the Property there is nothing of record in the County Deeds Office to prevent the Seller from selling the land to another Buyer! A Title Search will not turn up any record of you Buying the land. There have been instances of the Seller selling the same land more than once and the Buyer who Financed it under a Land Sale Contract or Contract for Deed being forced off the property and having little to no Legal Recourse for being forced off. When Owner Financing is done with a Land Sale Contract or Contract for Deed the Buyer has no way of knowing if the Seller has paid Property Taxes. Since the land is still in the Seller's name, the Property Tax Bill will be sent to the Seller not to the Buyer. It is easy to see that Owner Financing with a Land Sale Contract or Contract for Deed is fraught with several potential problems for the Buyer. But the Seller is completely protected. I never recommend a Buyer Financing Land with the usual Land Sale Contract or Contract for Deed! There are absolutely no protections for the Buyer. However, since the Contract is negotiable there may be a way to get some protections for the Buyer. A simple way to add an element of protection as a Buyer is to have the Land Sale Contract or Contract for Deed Recorded in the County Office where Deeds are Recorded. The Contract would show up in a Title Search and prevent the Seller from Selling the land to a second Buyer. However, Recording the Contract offers no protection from being removed from the land if you are even one day late on a payment. Recording the Contract may be of benefit in a Lawsuit against the Seller if you were removed from the Property because of a late payment. Now you would arguably be able to show an Ownership Interest in the land. There is no negotiation with the Seller needed for the Buyer to Record the Land Sale Contract or Contract for Deed. But Recording the Contract only gives the Buyer partial protection. If possible, negotiate a 5 day grace period before a payment is deemed to be late and a 5% Late Fee if a payment is made after the 5 day Grace Period. Such as a Payment Due Date of the 1st of each month with the payment being considered paid on time if it is received by the 5th of the month. This gives some leeway and adds more Buyer Protection into the Contract for Deed or Land Sale Contract. The 5% Late Fee gives the Seller an incentive to add this provision into the Contract. However, a 5 day Grace Period does not protect the Buyer from being removed from the property if a payment is more than 5 days late! To get protection against being removed for a payment more than 5 days late requires some more negotiation. Try to also negotiate for there having to be 3 payments that are more than 5 days late before the Seller can start the process to remove the Buyer from the property. This process is known as Foreclosure. If 3 Late Payments before Foreclosure are successfully negotiated the Buyer has even more protections. Along with the need for there to be 3 payments more than 5 days late, see if the Seller would agree to sending you a notice giving you 30 days to make up all back payments and late fees or you will need to move off the land. Thus the Seller has a chance of getting the 3 payments made up plus late fees of 15% of a payment. This could be an incentive for the Seller to consider this request. At this point the Buyer has negotiated significant protections not found in the usual Land Sale Contract or Contract for Deed. But there is still the problem of the Title to the Property being in the Seller's name and the Property Tax Bill going to the Seller and not getting paid. Remedying this problem involves a little more negotiation. Negotiate for all payments to be made to an Escrow Company or Attorney's Office. Along with these payments the Buyer adds 1/12 the estimated Property Tax Bill and the Seller Authorizes the Escrow Company or Attorney's Office to receive and pay the Property Tax Bill. Not having to remember to pay the Property Taxes is an incentive to the Seller. At this point the Buyer has all the essential protections not usually included in a Land Sale Contract or Contract for Deed except one, the Deed to the Property. A simple method for handling this problem is to negotiate that the Seller will sign, the legal term is execute, a Deed to the Buyer and place the Deed with the Escrow Company or Attorney's Office. The Deed is to be given to the Buyer upon making the last payment on the Land Sale Contract or Contract for Deed. The Seller's incentive for doing this is not having to remember to have a Deed made out later. By successfully negotiating these provisions, the Buyer now has those protections all Buyers should have when purchasing property. Another way of looking at it is that the Buyer successfully converted a Land Sale Contract or Contract for Deed, which has no protection for the Buyer, into a reasonable and safe Contract with protections for both Buyer and Seller. What Happens If The Seller Dies Before All Payments Are Made? The Seller's Estate inherits the Land Sale Contract or Contract for Deed which gives the Estate the right to collect the payments according to the terms of the Contract. The Buyer continues to make payments as was done when the Seller was alive. Can Property With A Non-Assumable Mortgage Be Purchased With A Land Sale Contract? A Non-Assumable Mortgage typically has a Due On Sale Clause which means the Seller is required to pay off his mortgage when he sells the property. Sometimes selling the Property on a Land Sale Contract or Contract for Deed, has been successful because there is no Deed transferring ownership from the Seller to the Buyer Recorded in the Deeds Office. Attempting to purchase a Property with a Non-Assumable Mortgage on it by using a Land Sale Contract or Contract for Deed is not always risk free. If the Non-Assumable Mortgage Holder discovered the sale with a Land Sale Contract or Contract for Deed, the Due On Sale Clause could be invoked. If the Seller could not come up with the rest of the Non-Assumable Mortgage Balance, the Non-Assumable Mortgage Holder could repossess the property and both Buyer and Seller would lose. It is best for the Buyer to require proof that the Non-Assumable Mortgage Holder will waive the Due On Sale Clause and allow the Sale to proceed. What is Owner Will Carry Financing? This is just another term for saying the owner will finance the purchase of the property.